Can you name the Edinburgh location I have sketched? It’s the gate at Dean Cemetery. 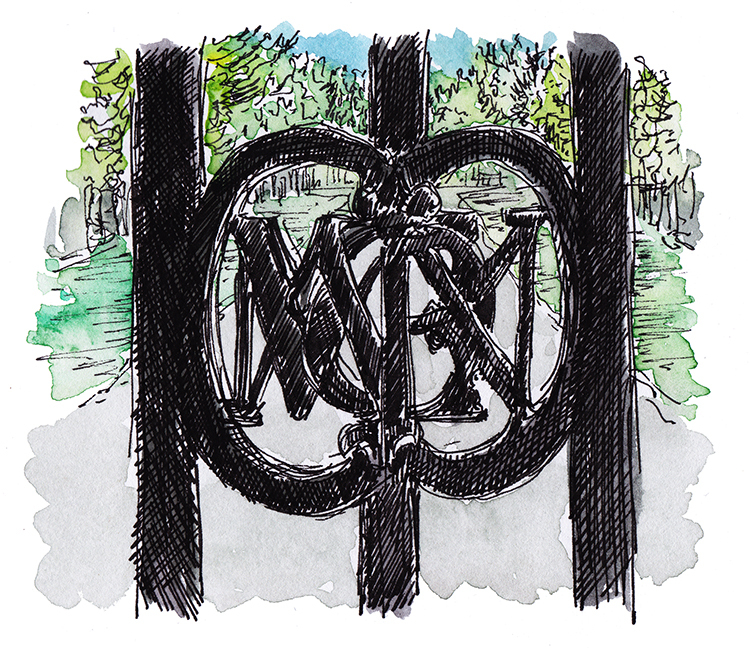 #WhereArtI 12th November: This is a close up of the Dean Cemetery gates, next to the Scottish National Gallery of Modern Art . Well done 0apropos who was randomly picked to go into this month’s draw for a set of my new Edinburgh coasters. More next Monday! It’s the main gate at Dean Cemetery. It’s the (non-vehicular) entrance to Dean Cemetery on Dean Path.